Fabinho has revealed he knew he’d be at centre-back long before he played there—because Jurgen Klopp had been giving him training sessions in the role. A spate of injuries at the back have left Liverpool short-handed, both on the right and in the centre. 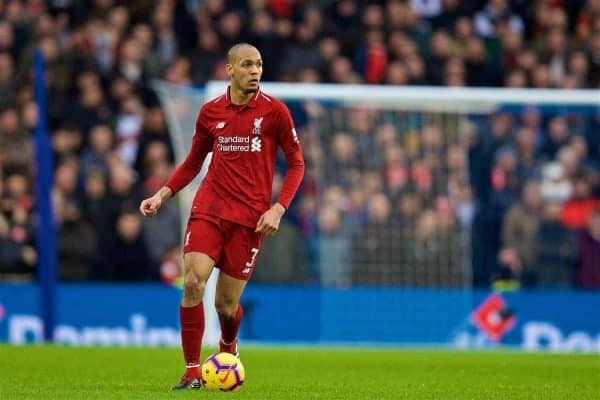 While Fabinho is a full-back regular for the national team, it has become apparent over the past few weeks that Klopp views him as an option in the centre instead. The No. 3 has started the past two matches in that position, against Wolves and Brighton, and has been largely flawless. He credits the boss for his form at Liverpool over the past few months and, despite absurd media rumours before the winter period, says Klopp is clear about what he wants from players. “He understands things about us, things we need to improve on,” Fabinho told LiverpoolFC.com. “He’ll tell you what he wants you to do on the pitch concerning movement, so that when we’re on the pitch we understand the best options for us. Brought in as a defensive midfielder, Fabinho has started to shine in his natural role after taking time to adapt—but the recent switch to the back line didn’t come out of the blue. Instead, Klopp had clearly pinpointed his talents as being suited the defence and, before need arose, immediately switched around Fabinho‘s training routine so he would be more comfortable at the back if he had to play there. Some weeks ago, I knew this could be an option because we had some players out injured and we only had two centre-backs available. “When Dejan got injured, I knew it would be logical that I’d play in that position. The Reds’ back line has been rock-solid all season, despite a rotating cast of partners for regular starter Virgil van Dijk. That says much about the Dutchman’s influence on the side—and it’s not overstated, according to Fabinho‘s description of playing alongside the No. 4. Having already gotten through 90 minutes in the FA Cup, Fabinho helped the Reds return to winning ways with a clean sheet in the weekend win over Brighton. I think it went well [against Wolves], I had a good understanding with Ki-Jana Hoever, the communication was good. Regarding positioning, I improved throughout the game in this aspect. I did well. “And in the last game against Brighton, I think I played well. 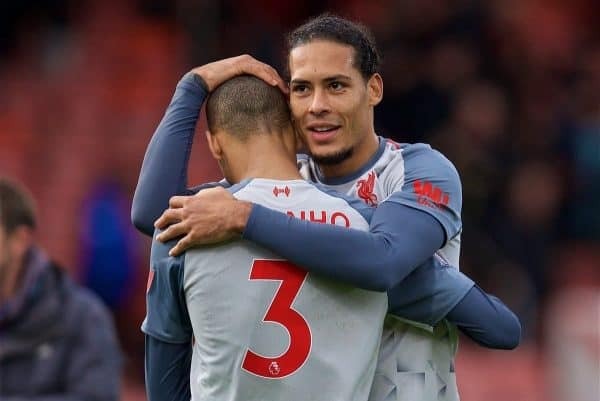 Playing alongside Van Dijk helped, he’s really vocal, he guided us. He helped me a lot. I had good communication with Trent and also with Hendo; they were the players closest to me on the pitch. “In general, I think it was a good game. In this position, which I haven’t played in a lot, I think I adapted well. There are some aspects, such as positioning, that I need to improve on. With Klopp ever-more regularly utilising a 4-2-3-1 system, it’s probable that Fabinho will continue to play a huge role in the centre of the pitch. 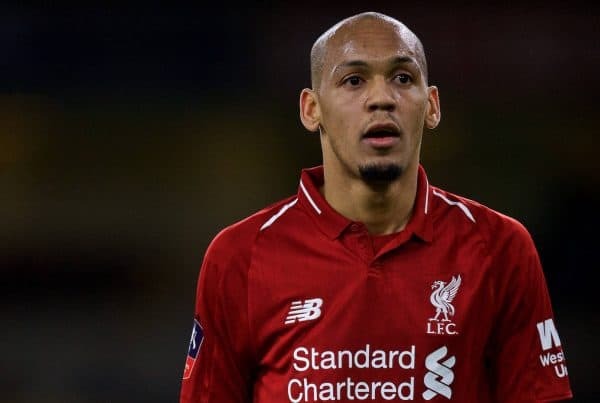 And with Joel Matip back from injury and both Joe Gomez and Dejan Lovren not far off, the hope will be that Fabinho is allowed to flourish in his best role. But if he’s ever called upon again for a defensive role, there’s no question that Klopp will have full confidence in him after two impressive outings.